This harry potter contra crepúsculo fan art might contain traje de passeio and terno de negócio. No, that actually never happened, they just talked on that picture. 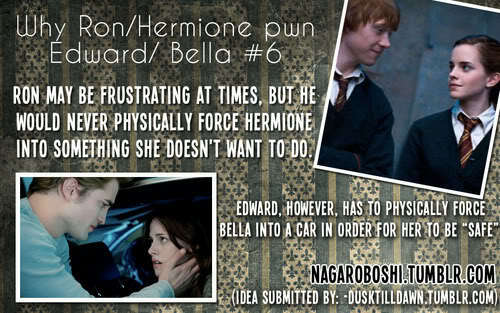 Romione is the obvious choice.